Ukraine is ready to pardon a number of separatists. Ukraine will submit proposals for the release of hostages at a meeting of the Tripartite Contact Group in Minsk on May 24 . 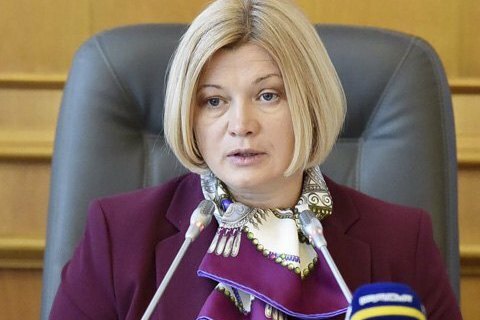 Ukraine's representative in the humanitarian subgroup of the TGC Iryna Herashchenko told reporters Tuesday that Ukraine can display willingness to compromise and apply the pardon procedure for the perpetrators of non-violent crimes against the state of Ukraine. Herashchenko believes that Kyiv's proposals will finally pave the way to the release of hostages. "An enormous work has been done to verify the lists of people who have committed crimes against the state of Ukraine but do not want to be extradited to the territory of the self-proclaimed "Donbas republics," she said. "We are talking several hundred persons," Herashchenko stressed. The so-called "DPR" and "LPR" hold in captivity 127 Ukrainians. The negotiations for their release have been deadlocks for months.